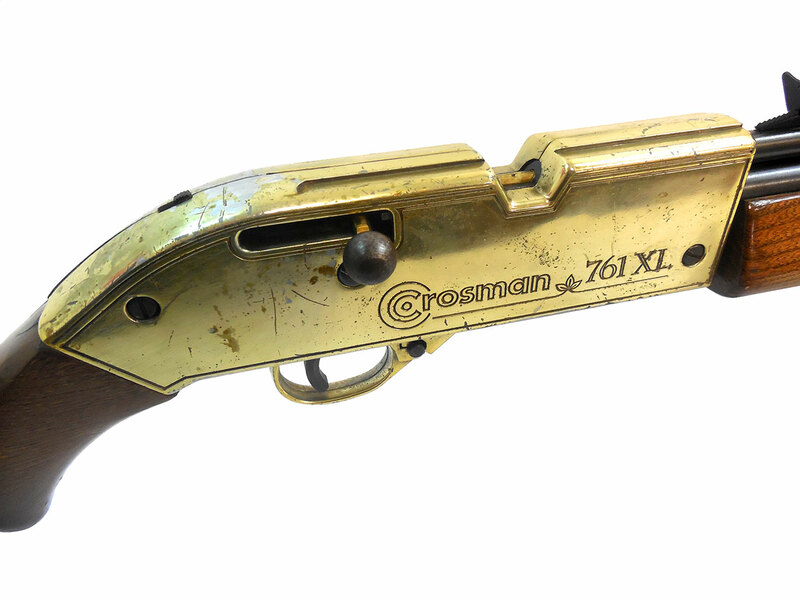 The Crosman 761 XL is the deluxe version of the Crosman 760 XL. 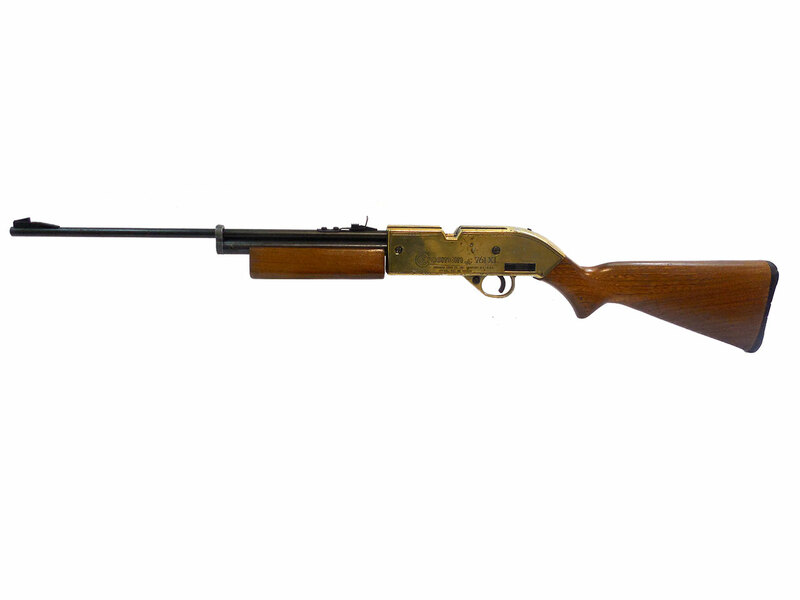 It’s a BB / .177 caliber pellet rifle with a wood stock, and features a gold receiver. This one comes in a 761XL box which has some water damage on one side. 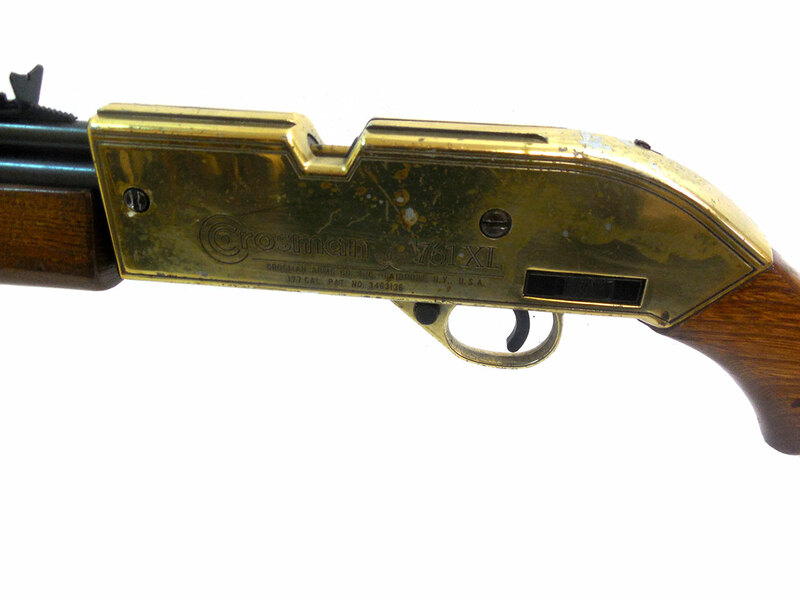 The hooded front sight that slides over the ramped sight is missing on this one. 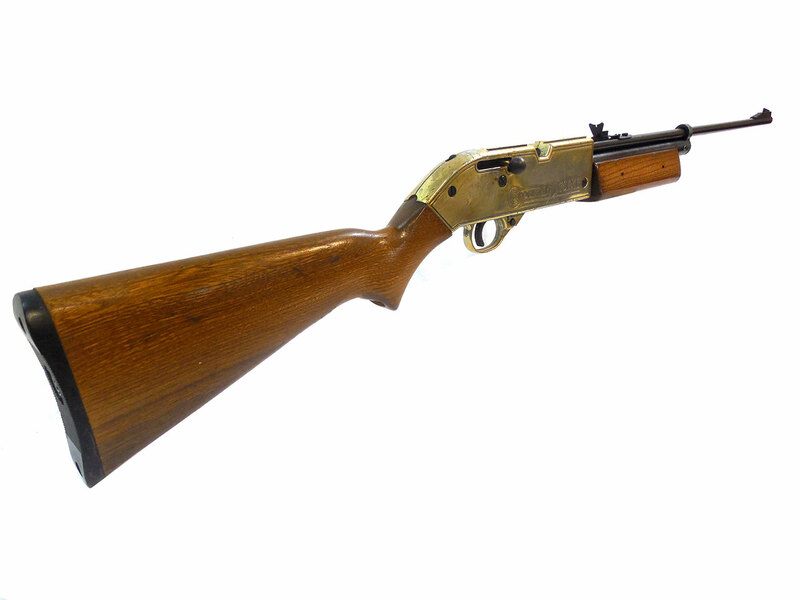 The wood stock is in good condition with only minor wear. 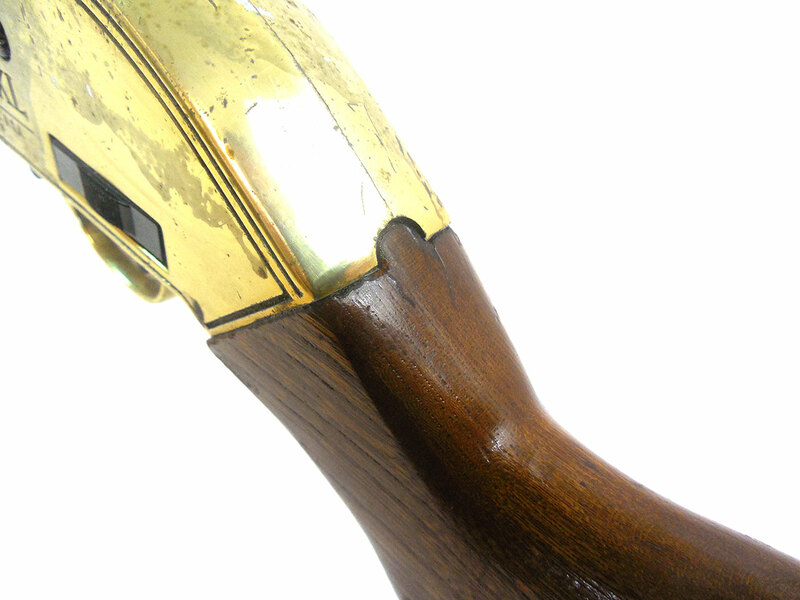 There are a couple of very small hairline cracks in the stock where the groove slides into the receiver. 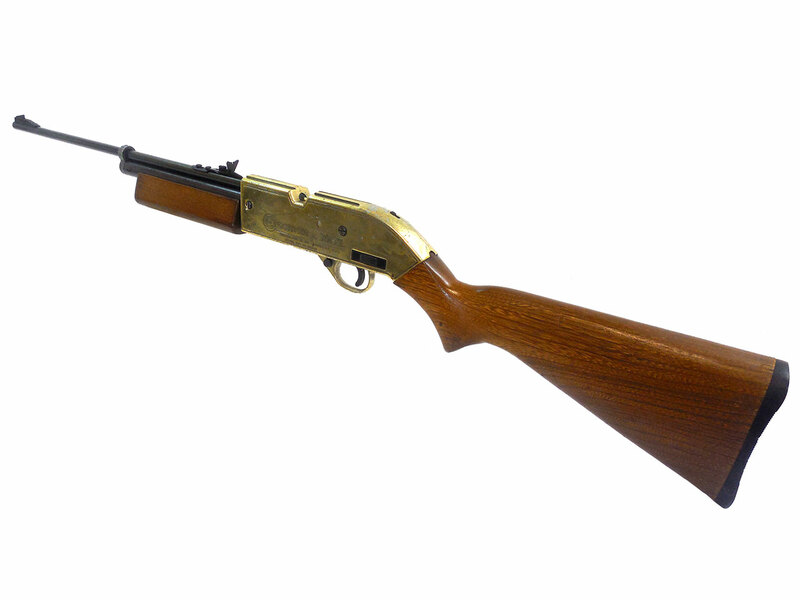 The barrel retains about 90% of the original finish. 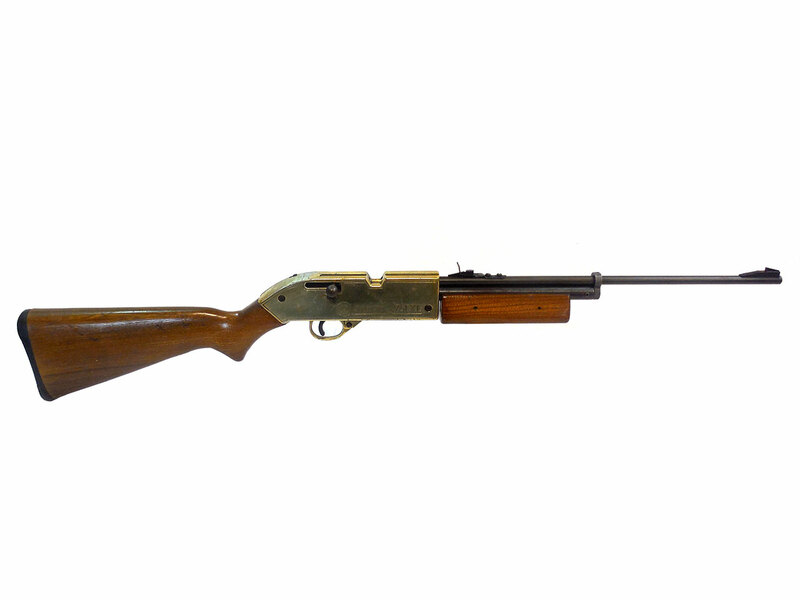 We also, cleaned, lubed, and installed new seals in this gun. Velocity was tested in our shop at 535 fps. Shoots great! 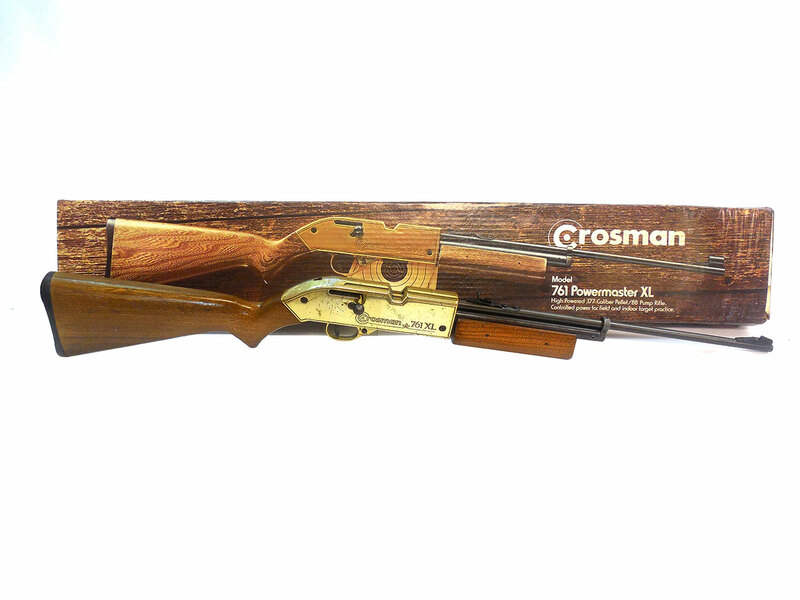 Nice looking air rifle, and comes with an 761XL box!